ISLAND LIFE BLOOMS IN THE SUMMER AND YOU WILL FIND A FANTASTIC HOLIDAY ATMOSPHERE AND LOTS OF ACTIVITIES FOR BOTH YOUNG AND OLD. 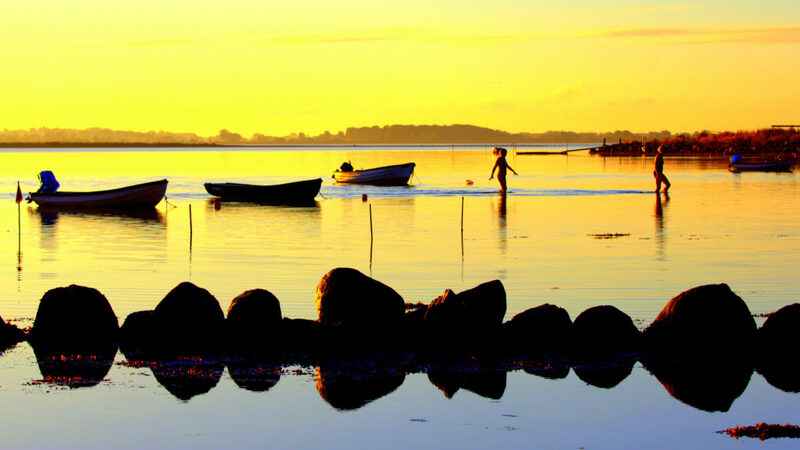 All year round, the island of Ærø in the Danish archipelago is a wonderland for the culturally interested and the cosy little Arnfeldt hotel is within walking distance of one af the islands main attractions, Vesterstrand Beach, with its colourful beach houses. Enjoy the slow life: The Isle of Ærø is renowned for its scenic surroundings, the locals are very easygoing and friendly and the public busses are free. The island also features prehistoric burial sites, one of which holds a full Viking ship. One of the best way to explore the 22-mile island, is by bicycle or hiking. The Archipelago Trail runs by Arnfeldt Hotel and the seaside Nevre Bike Path is only few meters away. Enjoy the special archipelago light from the surrounding sea, breath the fresh air, go near the shore and dive into the clear blue water of the archipelago to really get that #nordicfeel under the skin.